Product Description: Early advertisements declared "The design of the Autocar chassis lends itself to almost every style of body." Large, detailed archival photographs with informative captions tell the story from the first Autocar Driver Cab was introduced. Product Description: Peterbilt bears a pedigree as long as the roads the trucks travel. The legend traces back to the 1915 Fageol truck line with the first hauler to wear the Peterbilt badge rolling onto the scene in 1939. Classic Peterbilt chronicles the men and machines behind the legend, the evolution of the badge, and the advances in the aerodynamics of these mammoth machines. 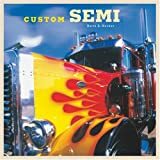 Product Description: A collection of amazing photos collected from the author's hardcover edition called Custom Semi, this value-priced paperback makes a wonderful gift for young truck enthusiasts. 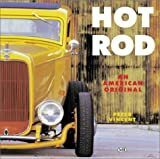 Product Description: This collection of six photo-essays, from one of the worlds most revered hot rod photographers, examines the major hot rod styles to develop over the last half-century, from T-buckets and deuce coupes to customs, dry-lake racers, rodded trucks and specialty show cars. Essays discuss the significance and evolution of each style. 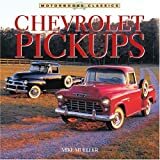 Product Description: With worn-out trucks after World War II and plans laid out by the Federal Government to build the Interstate Highway System, truck production really took off in the 1950s. Companies and drivers who used International semi-trucks worked hard to deliver the goods. This large-picture format book shows the fine details of these trucks at work during this productive time period. Product Description: Peterbilt, the Evolution of Class is a complete history of Peterbilt trucks using their data sheets, photos and engineering drawings. The book is 256 pages, color, and contains over 300 pictures and drawings. It also lists every model built since its inception in 1939. Product Description: A comprehensive photo history of one of the great names of American motoring. This outstanding collection of rare factory photographs displays the quality & styling that distinguished Studebaker. Includes light to heavy trucks & semi-tractors. Product Description: A personal and transformative journey into mechanical intricacy and philosophical inquiry. Product Description: The White Company was one of America's earliest & most successful truck manufacturers. White trucks worked at a variety of applications; dump trucks, sedan deliveries, express, step vans, buses, tankers, & more. Beginning with the first White model through De Sakhnoffsky's ultrastreamlined designs of the late Thirties. Photographs from Detroit Pub. Library's Nat. Auto. History Col.